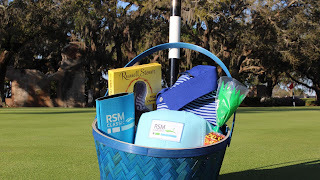 Keeping the momentum going after participating in two tournaments last week, several members of our Team RSM family are also playing in this week’s Houston Open. The tournament is taking place at the Golf Club of Houston in Texas, and we’re envious of the warm weather! Team RSM Member Chris Kirk and past RSM Classic winners Mac Hughes (2016), Robert Streb (2014) and Ben Crane (2011) are playing in the tournament. Best of luck to our “guys” this week! And speaking of luck, we have another giveaway contest underway. The Easter bunny will be giving away baskets full of treats soon, and so will we! The winner will be announced on April 2 – stay tuned! And in other sports-related news, we’re looking forward to next week’s March Madness championship game! A future congratulations to the two teams that qualify for the big game, as well as to those with brackets still intact!